In 1982, journalist, activist and political prisoner Mumia Abu-Jamal was sentenced to death for the death of police officer Daniel Faulkner. Prior to his conviction, Abu-Jamal was president of the Philadelphia Association of Black Journalists and covered the 1978 MOVE standoff where one police officer was killed and nine MOVE members were convicted of murder. After four decades of national struggle to free Mumia, a light has been shed on his case. 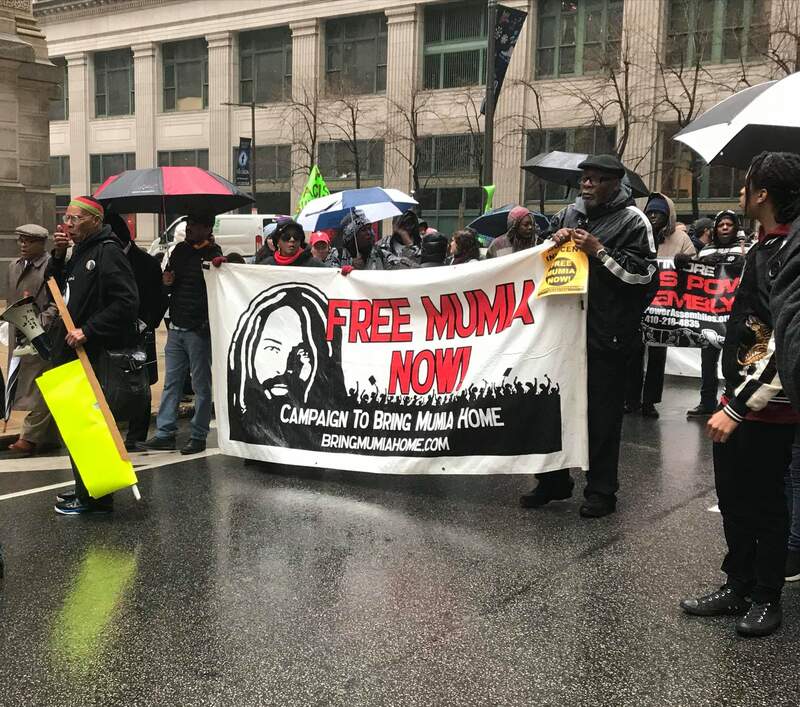 On December 27, 2018, Common Pleas Judge Leon Tucker passed down a ruling that will finally allow Mumia to appeal his 1982 convictions. This is great news for Mumia, but it goes far beyond one man wrongfully accused. Tucker’s decision sets a precedent which will have a far reaching impact on countless other prisoners denied appeal. Those who today sit in jail having never received a fair trial or any trial at all, may soon have the opportunity to see their convictions overturned. The problem: There is a looming concern that District Attorney Larry Krasner could oppose Mumia’s appeal. A fear stemming from the fact that Krasner has refused to comment on the situation. He has denied interviews with Michael Africa, Jr, a member of the MOVE Organization, Sandy Joy, a Rowan University professor, and other members of Mobilization4Mumia. The DA’s office remains silent despite 4,227 signatures gathered on a petition urging Krasner not to oppose the appeal. Call to Action: We are asking DA Krasner to actively join the fight against our historically racist and biased police force and justice system. At the very least, a district attorney elected on a platform of radical criminal justice reform should not oppose Mumia’s appeal. The time is now for Krasner to prove his progressive campaign talk. Follow Mumia on Twitter @MumiaAbuJamal and on Facebook to keep up with his case.